A quick and easy skillet meal. Perfect for busy nights. I almost always keep some chicken sausage on hand in the freezer. 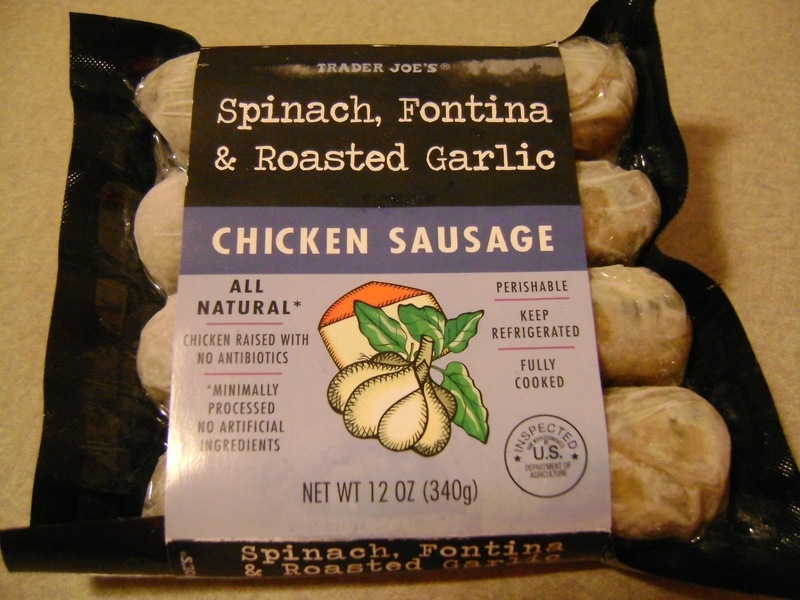 I love Trader Joe's all natural chicken sausages, and have tried most of the flavors they make. They are 3 points+ per sausage. Walmart also carries an excellent flavored chicken sausage...it has smoked mozzarella in it for 3 points + a piece. 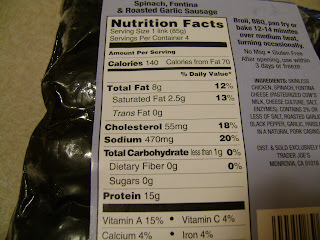 And locally, I love Dirusso's turkey sausage, it's not chicken, but it also comes in at 3 points+ per sausage. 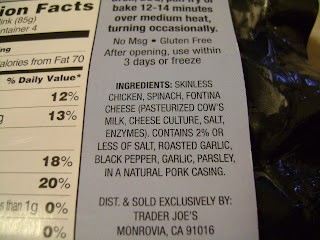 Any 3 point+ per sausage/serving would work in this recipe without altering the point+ value. I have been making this recipe for years, and it is a tried and true family favorite. Probably one of my husbands top favorite things I make. I found the peppers on sale last week, so I used all the colors...but if you can't find the orange and yellow peppers on sale, just use the red and green ones, which tend to be more economical. 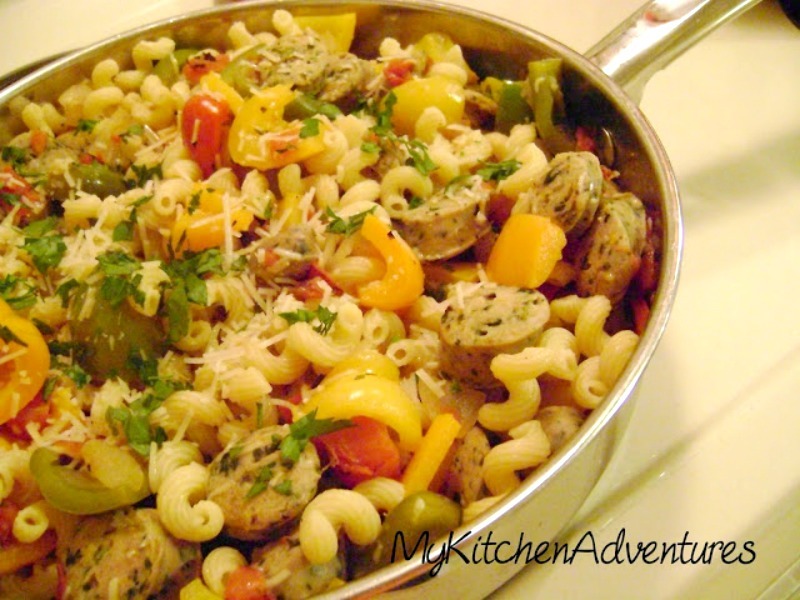 Bell peppers are a great source of vitamin C and sausage and peppers were made for each other. To complete your meal, serve with a veggie salad and some garlic bread! Serving size is 1/6th of recipe which roughly comes out to about 2 cups per serving. 1. Cook pasta according to package directions, but undercook about a minute, drain and reserve. 2. In a large skillet, add 1 tsp. olive oil and heat on med high heat until warm. Add sausages and brown on all sides. If you are using fully cooked sausages, like the Trader Joe's brand or Walmart ones, you only need to slightly brown them for color or skip this step all together. If you are using raw sausages, such as the Dirusso ones, cook them until they are almost cooked through, then remove from pan to cutting board. It's ok if they are still pink on the inside ( the raw ones ) they are going back into the pan to finish cooking later. 4. While pepper mixture is cooking, cut sausages into bite sized pieces. Then add back to skillet when the peppers are just about done. 5. Add tomatoes and wine and let come to boil. Turn down to simmer for 5 minutes, uncovered. Stir in cooked pasta. Sprinkle with Parmesan cheese and parsley. Serve immediately. Just one of the many varieties of chicken sausages TJ's carries and yes, I used about one and a half packages in this recipe, then just gave my husband the rest of the sausages from the second package on his serving...I weighed out the meat so it came to 16 oz total in the recipe. 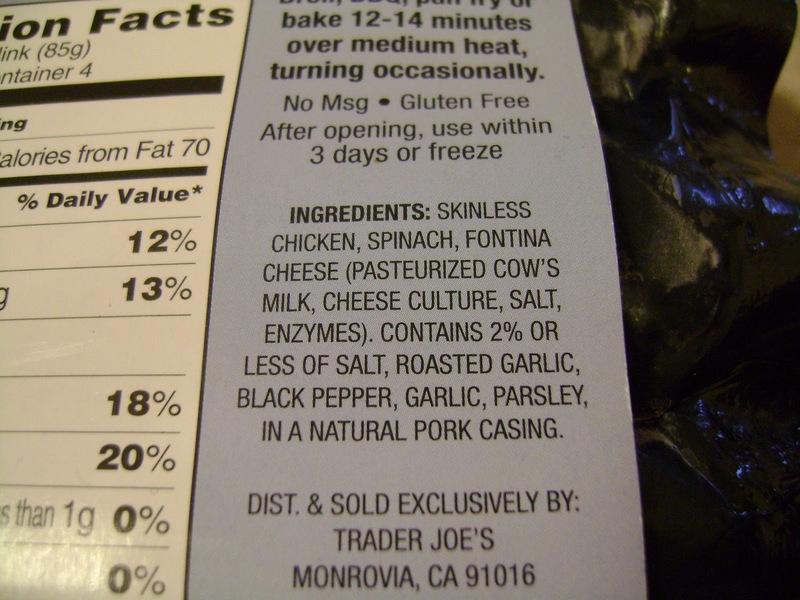 How can you not LOVE the simple ingredients in this processed food? Don't you wish everything was like this?? If you find yourself at Trader Joe's sometime, I encourage you to give their chicken sausages a try! Sadly, my cheap little camera is giving me woes....and since I do have a birthday coming up in the next few months, I am thinking about asking for a new one. What do you all suggest? Does anyone have a wonderful camera that they LOVE? I am not skilled in photography AT ALL...a total amateur, so it would have to be incredibly easy to use! Thanks! Such a colorful dish! I can't wait until our TJs opens- I plan to sample all of their products :) For now, my MIL just sends me the ones I love and can't be without! Isn't it funny how the recipes youve been making forever tend to be the families favorites? Oh this looks so good. I MUST do a TJ's road trip sometime soon! I have a Canon point and shoot, and it works really well. I salivate over the Canon Rebel cameras, and will have some someday in the not too distant futrue I hope. Have a great day Renee. I adore chicken sausage! 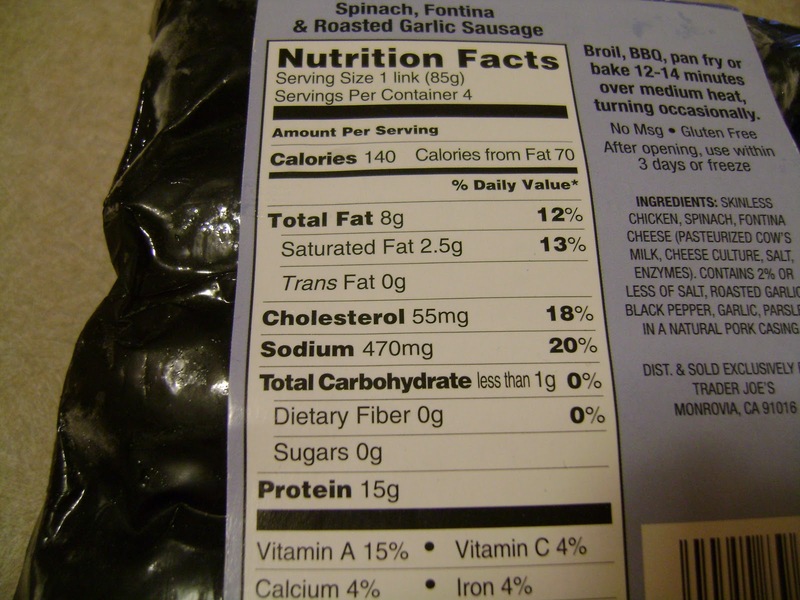 Well, I love anything sausage and the friendlier nutrition stats are welcomed :) And I think the flavor is all there. Kroger had peppers on sale, I think I'll make this! Looks delicious! P.S. A DSLR is worth the investment. I have the basic Nikon D5000 and love it! I love the TJ Chicken and Apple Sausage..it's a new find for me. This recipe looks great!